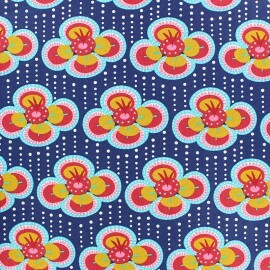 Fall into the retro and colorful world of Fiona Hewitt designer with this Fabulous Flowers Oeko-Tex certified cotton poplin fabric! 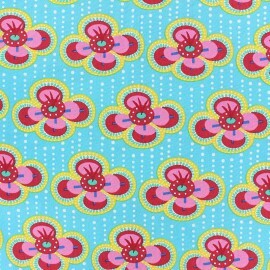 This pop and colorful fabric with large retro flowers on a turquoise blue dotted background is ideal for making blouses, tops and accessories! 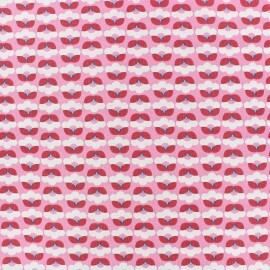 Fall into the retro and colorful world of Fiona Hewitt designer with this Fabulous Flowers Oeko-Tex certified cotton poplin fabric! 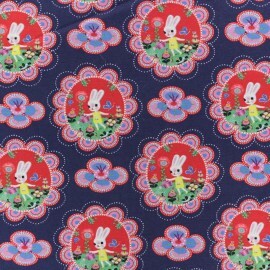 This pop and colorful fabric with large retro flowers on a dark blue dotted background is ideal for making blouses, tops and accessories! 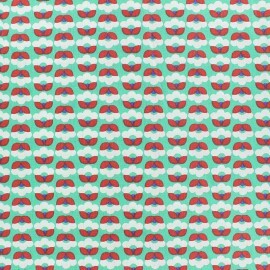 Fall into the retro and colorful world of Fiona Hewitt designer with this Fabulous Flowers Oeko-Tex certified cotton poplin fabric! 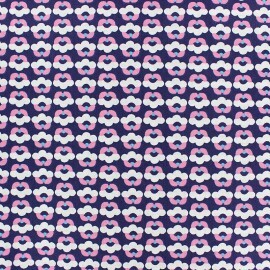 This pop and colorful fabric with large retro flowers on a pink dotted background is ideal for making blouses, tops and accessories! Fall into the retro and colorful world of Fiona Hewitt designer with this Fabulous Flowers Oeko-Tex certified cotton poplin fabric! 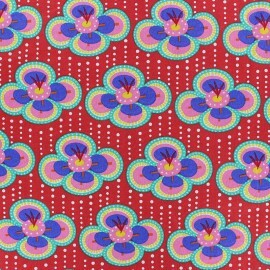 This pop and colorful fabric with large retro flowers on a red dotted background is ideal for making blouses, tops and accessories! Fiona Hewitt fabrics are Oeko-Tex certified and good quality fabrics, with trendy and colorful prints. 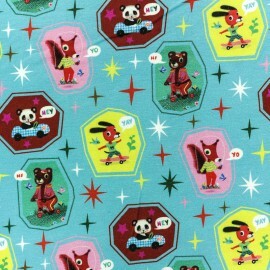 Discover the Athletic animals jersey cotton fabric, absolutely kawaï with pretty animals in medallions and create pop and colorful clothes! 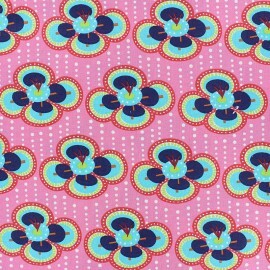 Fiona Hewitt fabrics are Oeko-Tex certified and good quality fabrics, with trendy and colorful prints. 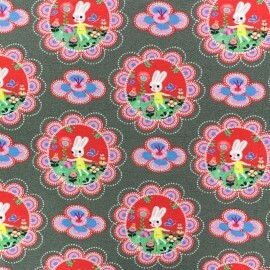 Discover the Floral Bunny jersey cotton fabric, absolutely kawaï with flowery bunny medallions and create pop and colorful clothes! 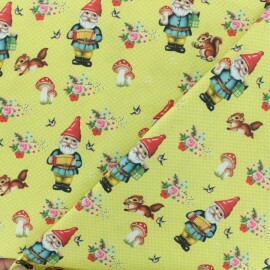 Enjoy our wide selection of fashion fabrics by Fiona Hewitt, who dare designed a totally audacious and vintage pattern influenced by the kitsch movement. Funny, nice and full color this range is a great experience for creators! 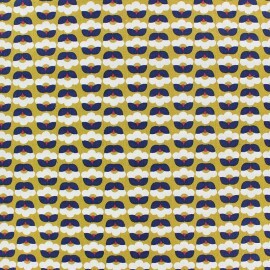 printed on 100% cotton mustard fabric. Total crush! for this sweet and happy gnome. Discover Fiona Hewitt's universe: children designs inspired by travels, cards, stamps, propaganda, toys and more.